Shang Chuen Weighting Machine Co., Ltd. was established in 1983, its business was majored in selling electronic scales in the early history of foundation. In 1985, the company started to develop and manufacture its own scales because of the remarkable sales volume. 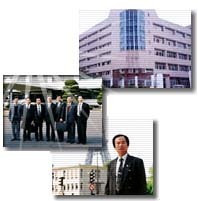 In 1994, the company became a contract supplier to the Shimadzu Corp. of Japan, resulted in influential benefit on improving manufacturing techniques. We are now one of the leading manufacturers, with factory located in Taiwan and Dong Gung, China, specializing in high standard electronic scale for various applications. Product line includes refrigerant scale for refrigeration industry, price computing scale (tabletop and platform) for retailer and commercial use, weighing scale (tabletop and platform) for hotel, catering, food service and industrial use, counting scale (tabletop and platform) for inventory and retail services provider, and kitchen scale, pocket scale and bathroom / body fat monitor scale (Patents in electric silver wire & load cell structure) for household and personal use. In 2011, we introduced a few new products, including a smart phone sized scale, a lighter scale, a BMI health management scale equipped with USB and RS-232 interface for remote home health care. Our products are marketed and sold worldwide, mainly in Europe, the United States, the Middle East, Latin America, Japan and Russia. 60% under our “SATRUE” brand, whose derivation is based on the Taiwanese pronunciation of “SO TRUE” meaning “highest precision”, and the remaining 40% as OEM or ODM orders bearing our customer’s esteemed brands. With more than 28 years’ experiences in the industry under the leadership of our president Mr. Lee, every staff is persistent in supplying our clients precise and ever-improving products; rigorous and thorough QC system is employed to stay on the top of international standards. The company’s goal is to consistently develop and produce quality electronic scales and provide satisfactory services.